Photo credit: Drew Van Wyk – Used under Creative Commons. The main goal of American Urbex is to mashup three categories of research material: rich visual media, geolocation, and information. This website began as a project for a Library Media Sciences course at UW-Whitewater. The site is operated solely by Ken Fager. America has a rich tapestry of historical places throughout the nation. Some are pretty difficult to find, but most are hidden in plain sight. Every day people walk past them without bothering to ask questions. Why are they there? What function did they serve? Who were the people that dwelled here? Why did they leave? Beyond the main goal this website advocates the exploration of urbex locations in the interest of education, adventure, and preservation. All legitimate requests can be sent to the administrator. 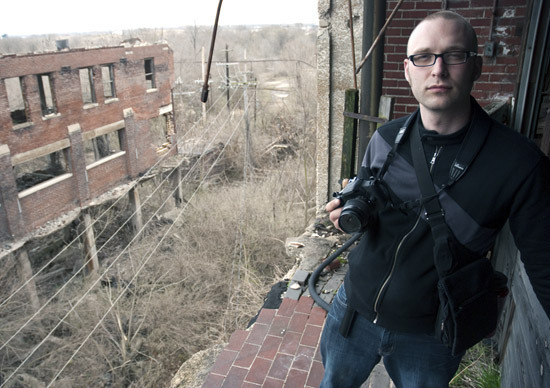 American Urbex reserves the right not to divulge location information. This work is copyright of Ken Fager. The design of this website and plugins used are the work others. I certainly appreciate their contribution to Creative Commons.